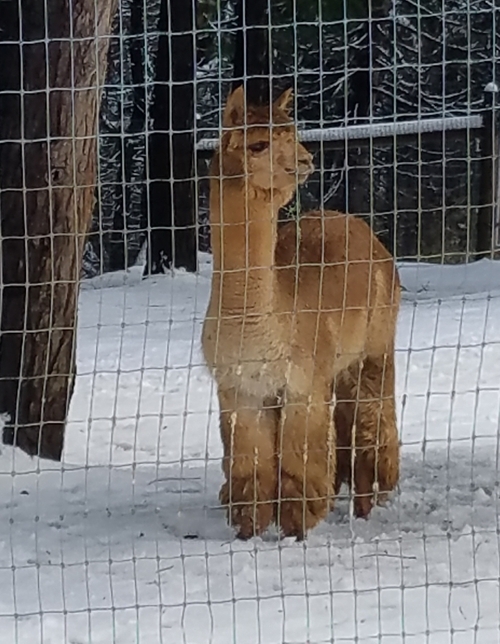 One of Alpacas of El Dorado's finest foundation dams. We have knocked it out of the park with every offspring she has had. 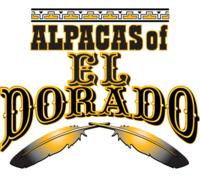 We have been excited to bring to our herdsire row....a status we do not take lightly at Alpacas of El Dorado, El Dorado Burning Man!!!! From the moment he was born I was pretty sure I had something special on my hands. His bundling was evident from day one. Beautiful bone, lovely head and great disposition. 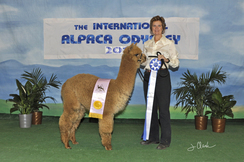 His sire stamps out beautiful fleece, extreme density and color. Not to mention award winning offspring after offspring. 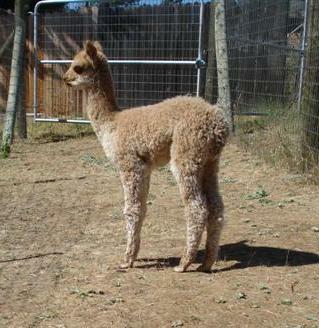 His dam stamps out fineness, staple length and beautiful cria. We started showing him at IAO in 2013 and the judges were all over him. He was the complete package, he is super fine and dense. Stands up well, square and beautiful bone. 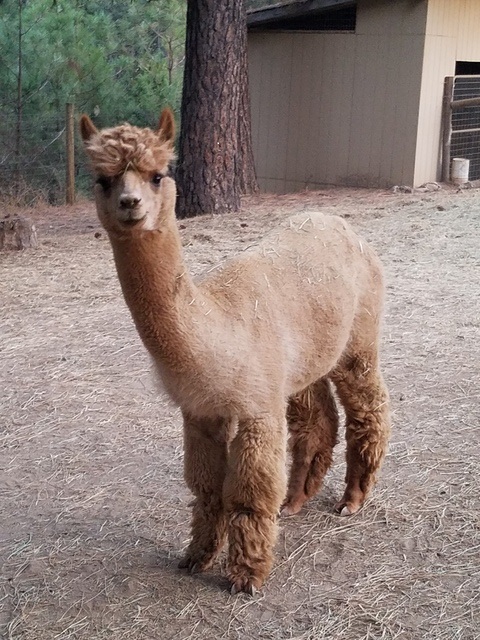 We sheared him and showed his fleece at the Gold Country Gathering and received high praise from the judge and a Reserve Champion award. Unfortunately he became very ill due to an impaction in 2014 and stopped his showing career. Not only did he pull through with gusto, but is now breeding and ready and willing to bring some wonderful genetics to your herd. 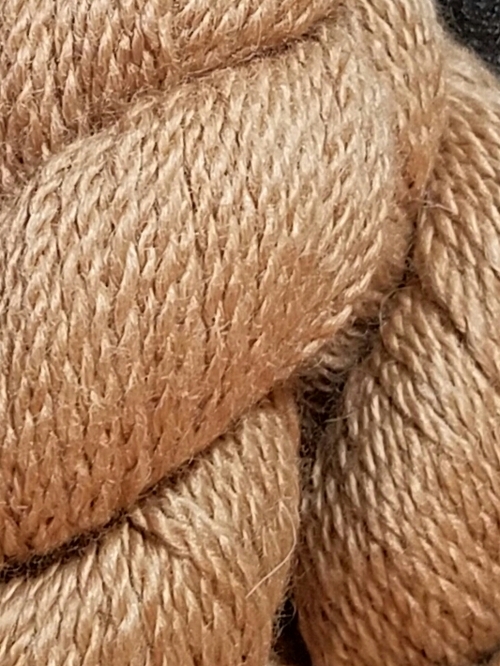 They say it is all about the fleece......well take a look at the pictures of Burning Man's yarn and rovings. We can't keep his yarn in stock....he makes plenty of it. We are starting him off with limited breedings at a discounted price of $900. We are very excited to see what he can do. Second Place, California Classic 2016 Spin Off 4 years old, 89pts.